Join us for a special, adults-only shopping experience! 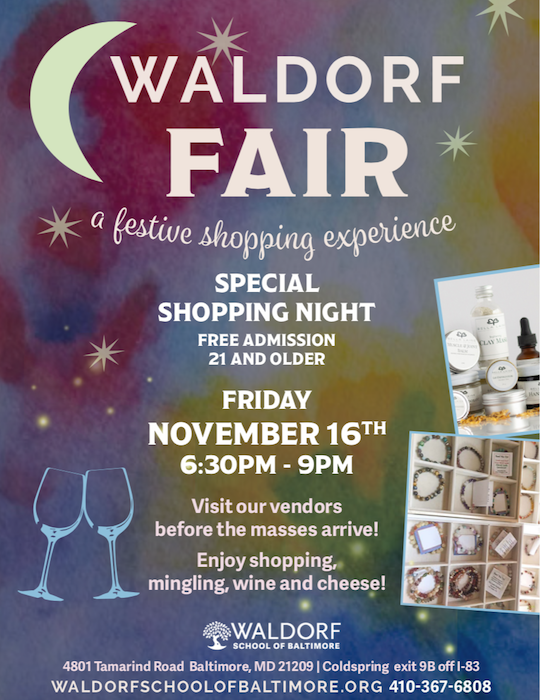 Our Waldorf Fair Preview night gives the grown-ups several uninterrupted hours to peruse our 30+ vendors before the event opens to the public. Avoid long lines while enjoying live music, and complimentary wine and cheese.